. This is a rich chocolate truffle of a movie – extravagant with its emotions, and ending on a sweet note. It’s that term we bandy about so often – feel-good cinema. these are the problems of rich people. Not to say that rich people don’t have real problems – just that in Dil Dhadakne Do,And yet, there are choppy waters in this journey. I’m going with three out of five for Dil Dhadakne Do. It’s easy and breezy, and packed with terrific actors who appear to be enjoying themselves. Watched #DilDhadakneDo. Loved the film! Very few directors can tackle relationships with such sensitivity as Zoya Akhtar. That’s a fact! Zoya juxtaposes humour, drama and emotions with élan in #DilDhadakneDo. The highs & lows of relationships are finely captured on celluloid.Every actor is splendid in #DilDhadakneDo, but the ones who shine the brightest are Anil Kapoor, Priyanka, Ranveer and Shefali Shah. On the whole, Dil Dhadakne Do is a good entertainer for the multiplex-frequenting audience. It will be liked by the youngsters and the classes more than the mass audiences. Business in the cities will be good on the strength of audiences of multiplexes and premium single-screen cinemas. 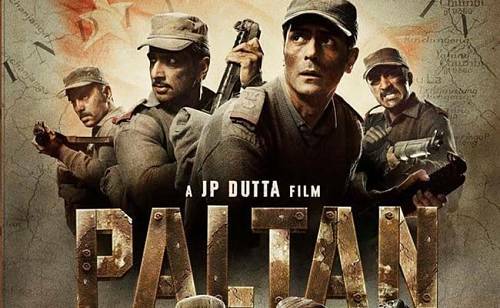 However, business in smaller centres and in lesser single-screen cinemas will be dull. All in all, it will fetch some profits. it’s glossy, it’s picturesque, everything on board costs far more than it ought, there are some pretty people, a few of whom make a scene, a family shakes a leg quite memorably, there is some motion sickness and — for something that ends up precisely and predictably where it started — it takes a helluva long time going nowhere.Despite its flaws, I find myself looking back at Dil Dhadakne Do and smiling. 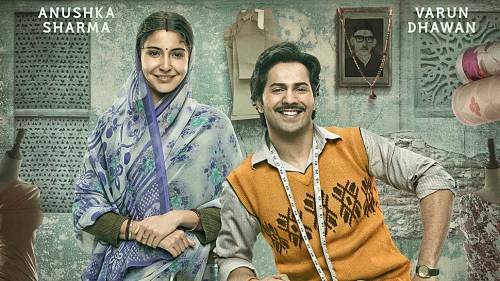 Hindi cinema history has seen one big film about “loving your parents”. 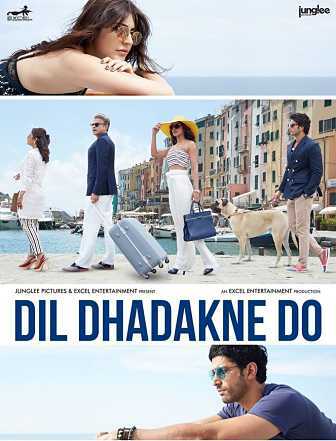 Dil Dhadakne Do is about “hating your parents” and in the process compelling them to change their ways. Yawn! Dil Dhadakne Do is a snoozefest and a surefire cure for insomnia. 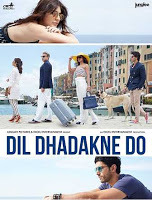 Dil Dhadakne Do goes behind the glossy grins of Indian family life, presenting screaming, sobbing dysfunction, heart-ripping extramarital affairs, bitter gender discrimination and heavy parental control. Yet, it has a light hand, not preachy but breezy while sensitively making modern points.With her quirky third, Zoya Akhtar further sharpens her oeuvre – the stylish ensemble tale, where journeys take over destinations. On this ship, a few bolts could be tighter. 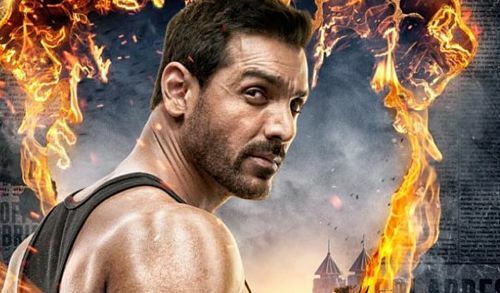 It’s feel-good factor gets the time to dissipate, while in keeping with Zoya’s usual insistence on bubbly and bright, it’s characters do not cut and bleed, just burble and weep. By the second half, the film starts to stretch over the horizon. In all this, my heart developed a big beat for Mr and Mrs Mehra, was attentive to Ranveer, skipped a bit for Farhan, and kind of floated over the rest. Yeh dil maange more. Two and a half stars. DIL DHADAKNE DO is a film that is targeted primarily to the multiplex audience and would resonate well with today’s youth. On the other hand, the single screen audiences might find it difficult to comprehend the film’s proceedings. On the whole, if you want to understand the nitty-gritty’s (read ‘the do’s and don’ts) of a complex family relationship, then, do yourself and your family a favour by taking them to meet the Mehras this weekend. In simple words, DIL DHADAKNE DO makes for a decent watch. This is a classic example of how when a pertinent, contemporary story meets a stellar star cast and near perfect direction, it results in a wholesome film good enough to be taken home to mum. Even while holding our hands to take us through some of the most interesting parts of the world, Zoya Akhtar sometimes subtly and at times with a bulldozer aggression drives home certain bitter truths typical of most Indian families, but those we choose to avert our collective gazes from. Dil Dhadakne Do is not everyone’s cup of tea. It is a high society drama that may tackle regular family issues too but may not suffice as entertainment for all. I am going with a 3/5 for this niche family drama. Dil Dhadakne Do is not a massy film and that is where it may lose a good chunk of its audience. The film has a distinctive approach towards familial bonds and that may not go well with everyone. Synopsis: Dil Dhadakne Do is the story of a dysfunctional Punjabi family on a cruise trip.